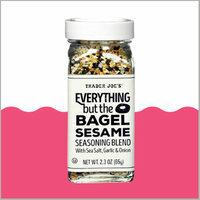 Who can resist the urge to make anything taste like an everything bagel? The mix is typically a blend of dried garlic, dried onion, sesame seeds, poppy seeds, and coarse salt. 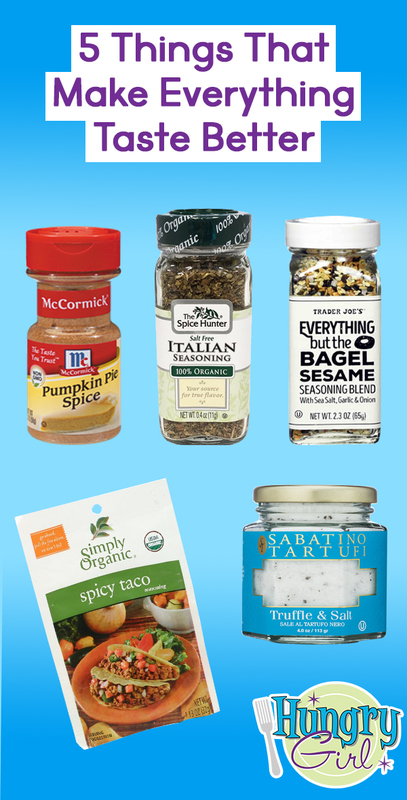 The Trader Joe's version kick-started our obsession, but lately we've been buying jumbo containers over on Amazon. Fun fact: We love it so much, we created a recipe for our own perfect blend… Find it in the brand-new Hungry Girl Simply 6 cookbook! You can even leave out the salt for a low-sodium fix. This classic blend expertly combines cinnamon, nutmeg, ginger, cloves, and allspice, and it’s totally indispensable when it comes to seasonal sweet dishes. 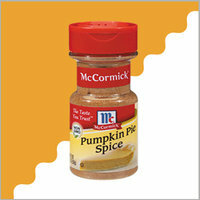 Add a hit of this and your sweetener of choice to some canned pure pumpkin, and you're halfway to pie town! HG snack hack: Elevate your fruit game by tossing some apple slices in a baggie with pumpkin pie spice and sweetener! HG coffee hack: Mix PPS into your coffee grounds before brewing for flavored coffee that’s basically calorie free! 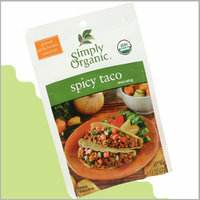 It’s not just for ground meat… Taco seasoning can make anything taste like yummy Mexican food! Use it to season chicken breast, sautéed veggies, dips, soups, and beyond. We've even got an easy DIY recipe in Simply 6 (perfect for zesty recipes in the book like Southwest Muffin-Pan Egg Bakes and Tex-Mex Meatloaf Minis!). 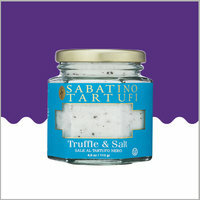 Last but certainly not least is this essential herb mix. 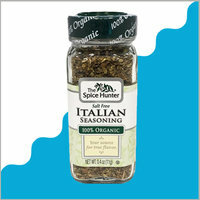 It’s the perfect blend of Italian-style seasonings like basil, oregano, rosemary, and thyme. If you want to throw together a simple marinara or pizza sauce, all you need are canned crushed tomatoes and Italian seasoning. (Garlic and onion powder, you can come too.) Add it anywhere you need a touch of zesty flavor! Beware the Ides of March, a.k.a. today, March 15th! We predict this Cowgirl Caviar Slaw -- made with black-eyed peas -- will bring you nothing but good luck.